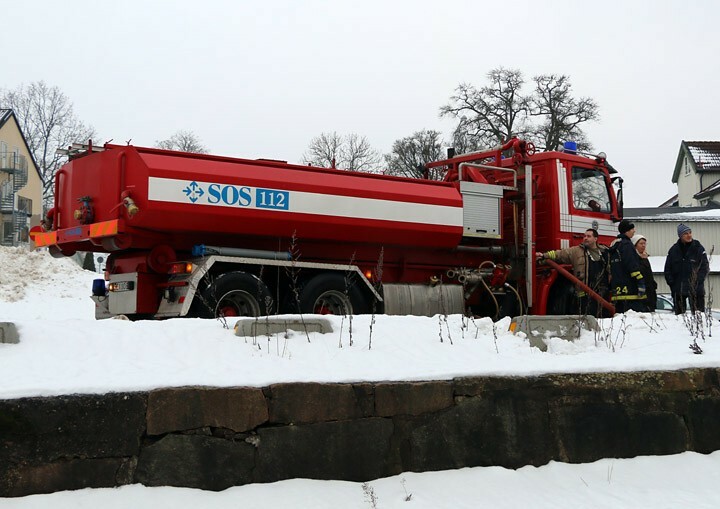 Swedish water tender in the Dals-Ed municipality, 100 miles north of Gothenburg, being used to provide water to B class steam locomotive 1037 on 2 February 2014. It appears the prime mover has a pump mounted to it. Added by Les Davis on 04 February 2014. The pump is actually a part of the same POD that the tank is mounted to. Added by John Harris on 04 February 2014. Added by Rob Johnson on 11 April 2017.